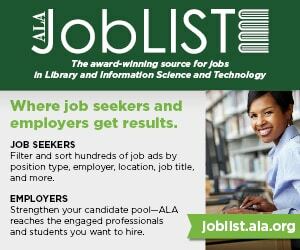 From the outset, your basic instruction and reference librarian position seems simple and straightforward. Instruction librarians are those who teach about information literacy and research skills. Furthermore, you might be thinking, there are already tons of books on information literacy and teaching in libraries. 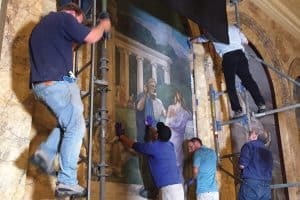 So why do we need to keep talking about this? 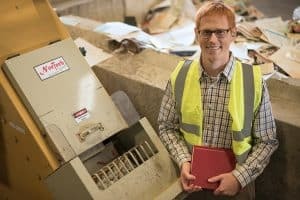 Teaching is certainly a huge part of any instruction librarian’s job, but to be effective, he or she must move beyond the classroom and into different spheres of library life. Our work is multifaceted, and we need to address that as we prepare for that work. Any practicing instruction librarian knows that there is no real answer to the question “What is a typical day like for you?” Because there is no typical day. We can shift from teacher to learner to leader in a matter of moments, participating in our own brand of library superhero action. However, to do this well, we need to identify these additional roles and build skill sets that support them. This is an excerpt from The New Instruction Librarian: A Workbook for Trainers and Learners by Candice Benjes-Small and Rebecca K. Miller (ALA Editions, 2017). When we talk about individuals playing multiple roles in their professional or personal lives, we often use the phrase wearing different hats. To signal a perspective switch, someone in a meeting might say, “I’m putting on my administrator hat now,” if they want to share a concern or a thought from an administrator’s point of view. The image of different hats, or switching among a variety of hats, suggests that the roles we play have clear distinctions and different viewpoints. In reality, these roles merge and overlap, which is exactly the case for instruction librarians. 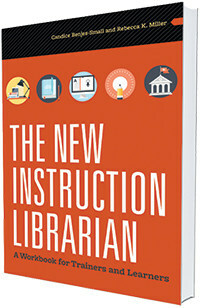 Instruction librarians may wear many different hats, but their roles all share a core. That core is a deep and profound concern for student learning and the belief that information literacy is a critical component in an individual’s professional and personal growth. This core is complex, and instruction librarians must be comfortable wearing different hats in order to extend these beliefs within their communities. But what are these hats, and what does it look like when librarians wear them? In “The Blended Librarian: A Blueprint for Redefining the Teaching and Learning Role of Academic Librarians” (College and Research Libraries News, July/August 2004), Steven Bell and John Shank defined the term blended librarian as an academic librarian who combines “the traditional skill set of librarianship with the information technologist’s hardware/software skills and the instructional or educational designer’s ability to apply technology appropriately in the teaching-learning process.” Their blended librarian framework focuses on librarianship beyond instruction librarianship and emphasizes the idea that one of the most important things librarians can do is integrate information literacy within larger, campuswide efforts. To do this, they argue, librarians need to embrace new skill sets beyond traditional librarianship. Similarly, the Association of College and Research Libraries’ Proficiencies for Instruction Librarians Task Force was formed in 2004 with the goal of identifying areas of proficiency required of instruction librarians, regardless of the institution for which they work. The task force identified different areas of proficiency that may not have previously been considered within the domain of our profession, including instructional technology, instructional design, and curricular integration—essentially providing a snapshot of the multifaceted nature of their work. Many of the different hats instruction librarians wear share characteristics and other commonalities. While it was necessary for us to distinguish them, the distinction nevertheless is somewhat false. In many situations, you wear multiple hats at the same time or cannot distinguish one hat from another in practice since there is often a shared purpose. Our hats are tightly interwoven. We encourage you to consciously try to make connections among them. The colleague hat is one you wear as you think about things that enable you to work effectively with your library colleagues. While it is important for you to become familiar with library databases, learning tools, and teaching strategies, it is just as important to acquaint yourself with the individuals and groups you will see and talk to every day. The instructional designer hat is one you wear as you design, develop, and assess learning experiences. The process of instructional design will help you engineer effective learning experiences for your students and help you demonstrate the impact and value of the time, energy, and resources that you’re investing in your teaching. When you embrace the role of instructional designer, you evolve from a content-centered teacher to a learner-centered one. The teacher hat is one you wear when you are fostering a learning experience in the classroom, whether it’s a face-to-face, online, or hybrid classroom. Instead of posing as the sage on the stage, the font of all knowledge, teachers should see themselves as facilitators, guiding students as they interact with course material. The teaching partner hat is one you wear as you work with faculty outside the library to integrate information literacy into courses and curricula. As partners, you and the teaching faculty member will need to work together to make decisions about the library instruction session. The advocate hat is one you wear as you influence decision makers and other community members and promote significant initiatives and ideas. Some people will already support information literacy and will be eager to become collaborators and champions; others will be more reluctant, concerned that your goals will take away from their own priorities. Often, people will be completely clueless about information literacy and what it is you do. You must be an effective advocate to all these audiences. 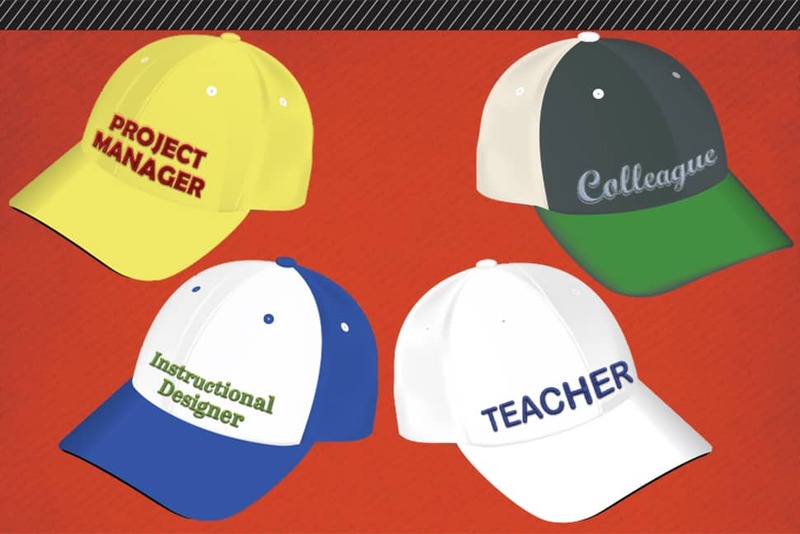 The project manager hat is one you wear as you lead and supervise a project of any size. If you are working on a project by yourself, you might not need an official project management framework. But in our field, we are usually collaborating with others. Projects fail for different reasons, but poor communication between team members and lack of planning are often causes. Simple project management tools can help you avoid disaster. The coordinator hat is one you wear when you are responsible for creating, maintaining, and evaluating a programmatic and strategic instructional effort at the library level. Gathering evidence for assessment and evaluation purposes, or at least developing a plan for gathering this evidence, is a major area of responsibility for instruction coordinators. The learner hat is one you wear as you continue to evolve, grow, and learn in your professional role. 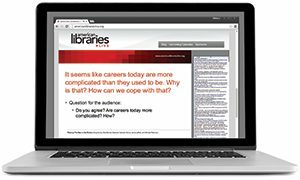 Every library has its unique approach to what learning looks like for its faculty and staff, but there is likely an expectation of and support for learning. Your role as a learner extends past what is normally categorized as training or professional development. Often, professional training opportunities focus around helping you learn a discrete skill or tool, such as using the software suite Camtasia to create web-based learning objects. Professional learning, on the other hand, is connected, integrative, and ongoing. As you read through these descriptions, you will certainly notice areas of overlap. For example, assessment shows up as a responsibility for a number of different hats, including instructional designer and coordinator. As we write this we are wearing our teacher hats because we are looking at these words as facilitating a learning experience for the reader, but we are also wearing our learner hats because we are completing research, reading articles, and participating in a much larger professional conversation about teaching and learning. The heart of our job is to help our learners, whoever they are, gain the skills and mindsets they need to succeed in a complex, information-rich world. Sometimes it’s difficult to see ourselves in these different hats, since they may seem unfamiliar or uncomfortable, but it is essential that we embrace them as we work within the organizations that surround us. CANDICE BENJES-SMALL is head of information literacy and outreach and university coordinator of information literacy for the general education curriculum at Radford (Va.) University. REBECCA K. MILLER is head of library learning services at Penn State University Libraries in State College, Pennsylvania.